Home > Stories > ACSD > Convenience Fee? For WHO?? Of all the stories we have on this site, this one might be the most confounding. The other day, I went for a walk in downtown Louisville. We have a terrific walking trail along the Ohio River that stretches for miles along the water, downtown Louisville, and scenic parks. I don’t know why it’s called the Ohio River…..in 1792 the Supreme Court ruled that the boundary of the river is the ‘low point of the northernmost bank’…..making the river Kentucky’s but that’s neither here nor there. I’m proud to say that my cousin, David Karem, is the president and founder of the Waterfront Park, a sprawling mall of greenery, which makes a walk along the river even more enjoyable. Waterfront Park also gives travelers to Kentucky from north of the Mason-Dixon line a much improved ‘first view’ of our city, in contrast to the now-gone piles of scrap metal. As I return to my car, I find the dreaded orange envelope with a love note from the city police on my windshield. 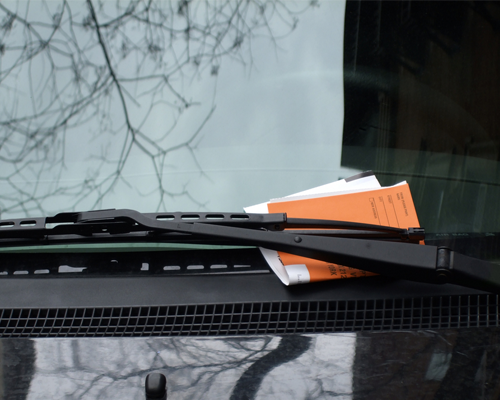 A parking ticket. All my fault. Upon arriving home I go online to pay the ticket (seems like the most convenient way to remedy this situation). I do this understanding that I must pay the ticket, but I also know, as you do, that a parking ticket also serves as an all-day free parking pass. Nonetheless, I search for and find on the ticket a way to pay online. The ticket is for $15.00. Upon locating the online option, I notice that there is a ‘convenience fee’ of $3.50 if one pays online. I don’t think many people really give a damn about $3.50 but this hit me a little funny. $3.50 is 23% of $15.00. So, if you pay online—-simply by clicking a few buttons on the computer you pay a 23% convenience fee. Convenient for who? The city or the payer? They should have made it more convenient for themselves.